Advance data indicate that, through July, wholesale shipments of traditional powerboats were up 9.3 percent from a year earlier while corresponding dollars were up 20 percent, the National Marine Manufacturers Association said in its October economic report. Advance estimates indicate that sales will be up 1.7 percent on a rolling 12-month basis through August. That’s the first sign of growth in more than two years, the association said. New powerboat registrations were down 7 percent on a rolling 12-month basis through June, compared with a year earlier. Recreational boat and marine engine export volumes were up 3 percent in the second quarter of 2011 and dollars were down 4 percent from a year earlier. Corresponding import volumes were up 9 percent and dollars were up 6 percent, the NMMA said. Mercury Marine is assuming future responsibility for worldwide sales, service, distribution and support of the Cummins MerCruiser Diesel range of high-speed diesel marine engine systems, including the TDI/SDI ranges of Volkswagen engines, Mercury announced in an early October statement. “This move enables us to leverage Mercury’s extensive global sales, service and distribution channels to more effectively serve our customers,” Mercury Marine president Mark Schwabero said in the statement. The transition of responsibilities from CMD to Mercury Marine is expected to continue into next year, according to Mercury, which said the two companies will continue a business relationship. Several companies announced expanded floorplan and marine financing in September. • MarineMax said it extended the terms of its CGI Finance credit facility, which provides for as much as $30 million of floorplan financing in addition to the $150 million inventory financing facility the company secured earlier this year with GE. The facility is slated to provide financing for MarineMax’s Azimut inventory needs. The facility includes renewal options, subject to CGI’s approval, and each advance under the facility can remain outstanding for 18 months. MarineMax’s new and used Azimut inventory that is financed by the facility is pledged as collateral. The company must maintain compliance with covenants that include balance sheet-related covenants of current and leverage ratios, as defined in the facility. 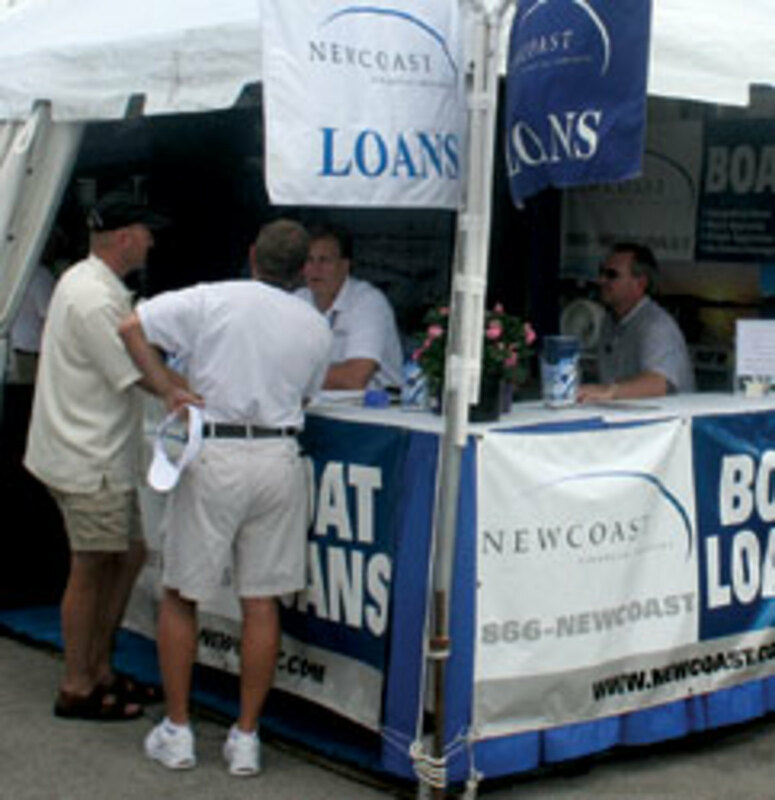 • Canadian boatbuilder Doral Marine is offering its U.S. and international dealers a new floorplan financing plan through Northstar Trade Finance. “Doral confirmed with Northstar Trade Finance because they are a specialized institution in foreign buyers credit since 1994,” Doral said in a statement. 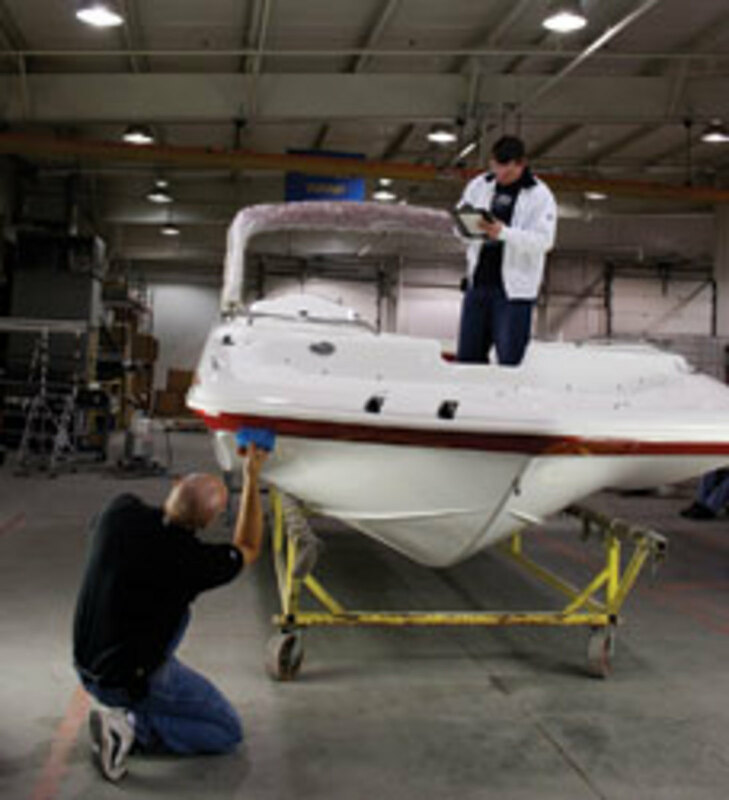 Doral is one of Canada’s largest builders of sport yachts, express cruisers and sportboats. • BRP signed a multiyear strategic alliance with TCF Inventory Finance to provide wholesale financing solutions to BRP’s Ski-Doo, Sea-Doo and Can-Am North American dealers and be the preferred wholesale financing partner to Evinrude and Johnson outboard engine dealers. “We know that wholesale financing is key to the success and growth of our dealer network,” Yves Leduc, vice president and general manager of BRP’s North America division, said in a statement. • Wolters Kluwer Financial Services announced that MB Financial Bank is expanding its use of the AppOne platform for its indirect finance program for the personal watercraft and power-sports markets. AppOne helps to automate the indirect lending, credit approval and compliance processes for lenders and vehicle dealerships. “As our indirect finance program grows, we look to the AppOne platform to help us expand our reach to personal watercraft and power-sports dealers to better help them address today’s challenges,” says Charles Schaefer, first vice president of indirect lending at MB Financial Bank. MarineMax is introducing a charter program offering sail and power yacht vacations. MarineMax Vacations will also offer a yacht ownership program for the charter fleet. The new venture begins with vessels from sailboat builder Dufour Yachts, but MarineMax is developing custom powerboats for future vacation charters. The first charters are scheduled to begin in December in the British Virgin Islands. “Since our formation in 1998, MarineMax has been the leading boating resource, providing the industry’s best brands, coupled with unsurpassed customer service, education and lifestyle events. MarineMax Vacations adds another exciting dimension to the opportunities we offer boaters worldwide,” William McGill Jr., chairman, president and CEO, said in a statement. MarineMax Vacations will operate out of Tortola in the British Virgin Islands, and more locations will be added over time. Although 2010 was challenging, there were signs of increased marine loan activity, according to the National Marine Bankers Association’s 2011 annual report. Based on 2010 data, the report shows how diminished consumer confidence and a high unemployment rate have affected the industry. New-boat sales were down 16.1 percent last year, but that’s compared with 25.9 percent and 27.8 percent for the previous two years. Categories that saw growth included sailboats larger than 50 feet, skiffs from 19 to 35 feet and sailboats of less than 18 feet. “At this writing, most economists are still hesitant to project any major upticks over the next year or so, though many are forecasting some light at the end of the tunnel, cautiously predicting a slow and steady recovery over the next few years, perhaps beginning later in 2012,” the trade group said. “However, with some boat categories actually showing increased sales and the majority of bankers reporting increased loan volume in 2010, the industry may have some bright spots on which to focus and concentrate efforts moving forward,” according to the report. MasterCraft filed a notice of appeal in a case that resulted in a judgment of more than $30 million against the boatbuilder. “MasterCraft has filed a notice of appeal with the Butte County (Calif.) Superior Court on Sept. 14, 2011. This is the first step in appealing the verdict in Bell v. MasterCraft Boat Company, et al. MasterCraft believes that the verdict was the result of a flawed trial and is not supported by the law or the facts. It is MasterCraft’s hope that the California Court of Appeals will overturn this unjust outcome,” attorney Walt Millar said in a statement. The appeal will be heard in the Third District Court of Appeals in Sacramento, Calif.
Last month, a Superior Court judge rejected MasterCraft’s request for a new trial. A jury ruled in June that MasterCraft was 80 percent at fault in a July 9, 2006, accident in which Niki Bell and Bethany Mercer, formerly Wallenburg, were swept off a MasterCraft X-45 wakeboarding boat and struck by its propeller. Jurors found that the driver, Jerry Montz, was 20 percent at fault. Montz admitted to drinking alcohol on the day of the accident, and there were more passengers on the boat than the builder recommended. The jury awarded $30.9 million in damages to Bell and $530,688 to Mercer. Navico, parent company to the Lowrance, Simrad Yachting and B&G brands, introduced a new consumer-support program called Advantage Service. Consisting of six comprehensive service products, the program delivers support around the world at no additional cost to dealers or consumers. The Lowrance, Simrad and B&G Advantage Service programs, each with a set of service products, provide dealers with resources to address their customers’ needs and, for consumers, ensure that issues with products are resolved quickly. Advantage Service, launched in October, will be fully implemented by Jan. 1.